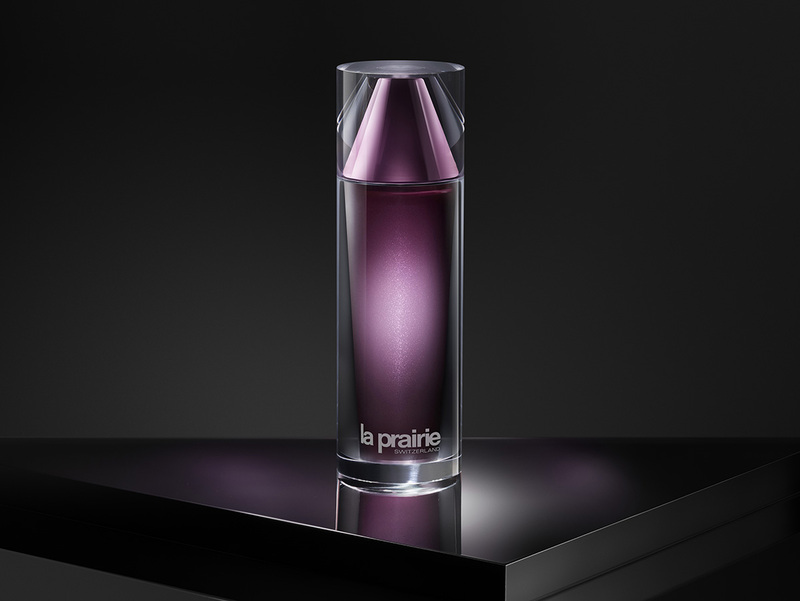 The Platinum Rare haute-rejuvenation experience starts with the latest innovation to come from the Swiss laboratories of La Prairie: Platinum Rare Cellular Life-Lotion. A new beginning for your skin, it offers an unparalleled formulation drawn from the source of life. 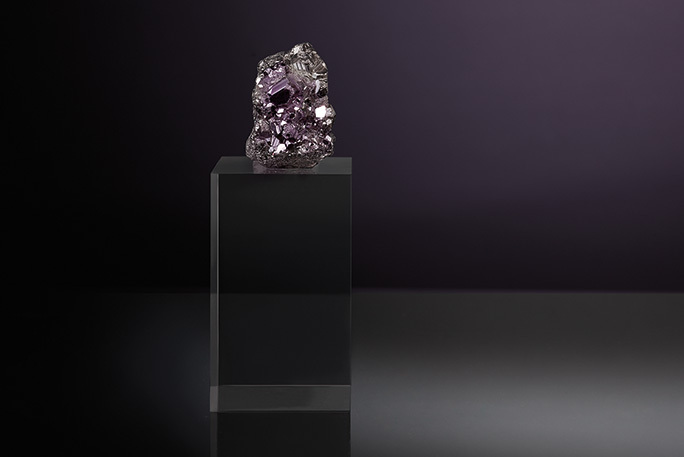 Inspired by the eternal beauty and strength of platinum, it is where haute-rejuvenation begins. 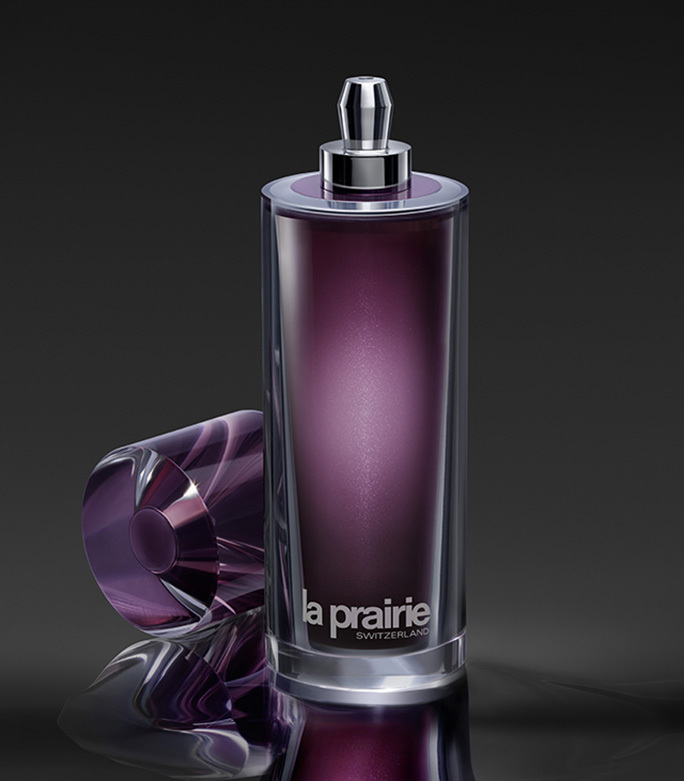 Like all the products in the Platinum Rare Collection, the design of the CellularLife-Lotion decanter conveys a fastidious attention to detail, echoing the values of haute-artisanry. 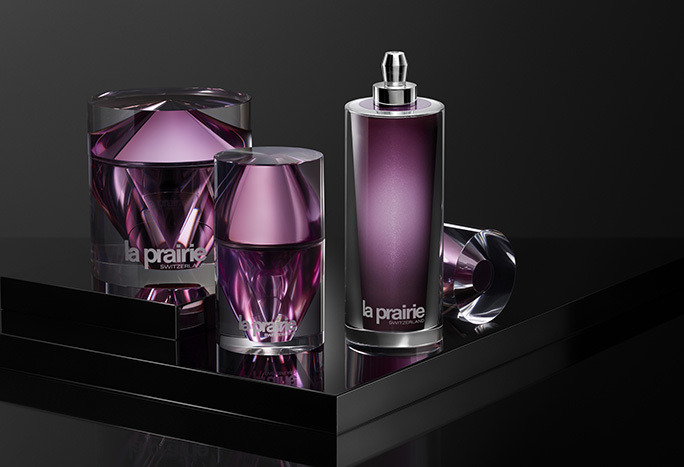 Conceived in deep amethyst tones, each line of the tall, sleek vessel angles into another. Every surface, every facet of the cap is hewn to catch the light in an unexpected and surprising way, like an expertly cut gem. Sculpted with careful attention to symmetry, visual equilibrium and harmony, it reflects the haute-rejuvenation contained within.